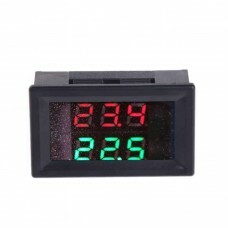 High precision low cost digital temperature meter - allows you to put a digital thermometer anywhere with this very handy display package. 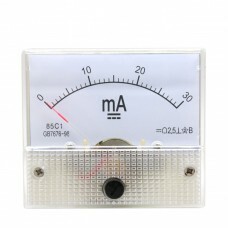 Use to monitor the temperatures of equipment, solar panel installation, amateur radio stations, CNC or laser engraver equipment or chillers, wine and beer making installations. 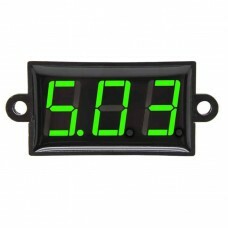 Attractive blue LED backlight displays temperatures from -50C to 110C (-58F to 230F) with an accuracy of 0.5C. 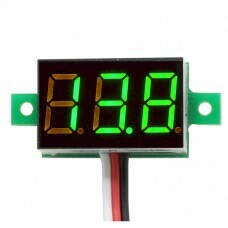 Externally powered from DC 4-25V power source and draws only 20mA current. 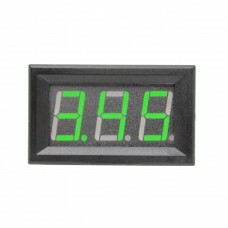 Sensor probe is epoxy sealed with a 100cm (39 inch) cable. 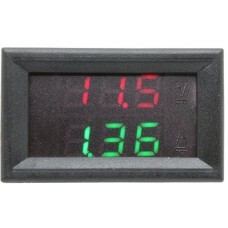 Temperature display can be adjusted between by Celsius or Fahrenheit by removing user accessable jumper on the back of the unit. 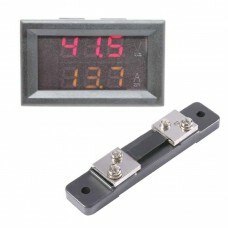 Fits in a standard 44mm x 25mm panel opening and snaps into place.